VR developers have created ways to better prepare health professional by immersing them in simulations of stressful situations that they are likely to encounter in real life. This better prepares doctors to be effective in difficult situations. If you're interested in the subject, you can take a look at Ludus, a simulator that is aimed not only for people in medical professions, but also fire departments, the police and the military. The French company SimforHealth aims to train health professionals through VR and sums up its concept with "Never the first time with a patient". The combination of VR and training isn't limited to preparing health professionals for difficult situations. The technology also makes it possible to create medical videos in 360 degrees, especially for educational purposes. This means that medical students can attend operations and see the different elements (for example, an organ) from various angles. This is particularly useful in complicated surgeries like open heart surgery or brain surgery, to see exactly what can happen in real conditions. But let's stay on the topic of surgery: VR can also be used to perform operations, provided that it is supported by a specialized robotic arm, which for the time being is of course still handled by a surgeon. This technology has clear advantages. There's less risk for the patient, and there are more opportunities for surgeons to train. It's interesting to note that these robotic surgical procedures can combine several technologies: VR, artificial intelligence and augmented reality. But not all VR apps that concern medicine are aimed exclusively at people in the medical profession. This is the case with YouRescue and BLS from Dual Good Health, which aim to provide first aid training in virtual reality. The fight against stress is another topic that is very important these days. Virtual reality is used to relax patients, and prevents them from thinking about their worries by diverting their attention away from certain activities. Several apps even focus on meditation such as Healium, which offer a mixed reality experience. It might be surprising, but it's true: VR is sometimes even used to replace anesthesia. You read that correctly. 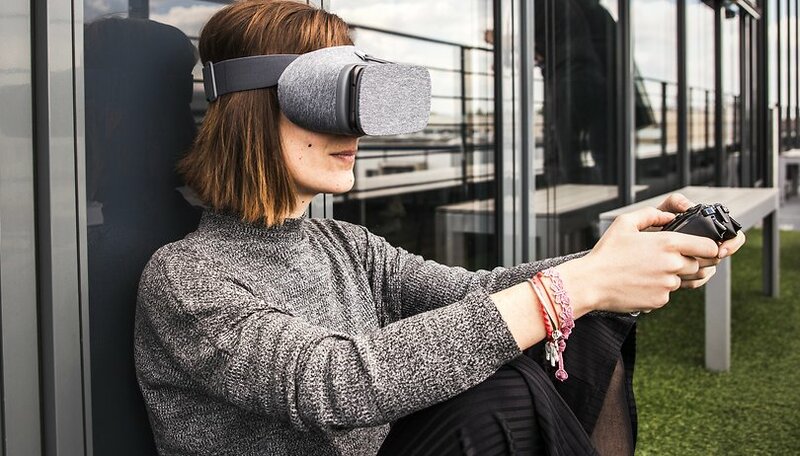 Patients concentrate on the VR content that is broadcast through their headset and then almost forget their pain thanks to a form of medical VR hypnosis. One of these alternatives to conventional anesthesia is Hypno VR. Professionals like Mr Rizzo come from other disciplines, ranging from psychology to motor and cognitive functioning. To name an example, let's first address autism, which affects 1 in every 68 children in the US. The disorder appears in early childhood and manifests itself in alterations in the ability to establish social interactions and communication, as well as behavioral abnormalities, in particular a reticence to change a tendency to repeat behaviors or discourse. VR has already provided visible results: researchers in Shanghai have already made some interesting discoveries: they've created a technology that is able to better care for children and keep them more focused while immersing them in an environment that encourages them to be more sociable. Parkinson's disease might be less well known than the first two diseases described above, but many people suffer from it (like Michael J. Fox). It's been studied closely, and just like with Alzheimer's, a diagnostic system with virtual reality is being developed to treat it. Cochrane, a non-profit organization focused on medical research, has tested the effectiveness of a VR treatment for Parkinson's disease and sees the potential. They found that the treatment had some advantages over traditional methods, but didn't consider it revolutionary.